Wanneer patiënten met uitgezaaide darmkanker naast een chemokuur ( FOLFOX = leucovorin, 5-fluorouracil, en oxaliplatin) een voedingssupplement (MP-6) met 6 verschillende voedingsstoffen erbij innemen gedurende 16 weken dan blijkt op 1,5 jaars-meting (77 weken) de progressievrije ziekte (0.0% vs 15.8%, P = .026) en het bijwerkingenprofiel (28.9% vs 2.9%, respectievelijk, P = .004) veel beter te zijn voor de MP-6 groep dan voor de placebogroep. Ook bleek een statistisch hoger niveau van creatine in het bloed (wat duidt op verslechtering van de ziekte en lichamelijike conditie) in de placebogroep in vergelijking met de MB-6 group (29% vs 5.9%, P = .014). Het MP-6 voedingssupplement gebruikt in deze studie bestond uit een gefermenteerd soja extract, groene thee extract, Antrodia camphorata mycelia, spirulina, grapefruit extract, en een curcumin extract. Alle genoemde voedingstoffen zijn in afzonderlijke studies ook wel bewijzen gevonden voor therapeutische effecten, zie onze literatuurlijst - darmkanker, maar na 1,5 jaar (77 weken) nog geen progressie van de ziekte is wel uitzonderlijk te noemen bij deze groep van patiënten met uitgezaaide darmkanker. En dan te bedenken dat patiënten die het voedingssupplement namen na 16 weken zijn gestopt met innemen daarvan. In respons en overall overleving zat nog geen verschil maar dat is ook moeilijk aan te tonen in een studie die nog slechts 1,5 jaar duurde. Wordt hopelijk vervolgd met ook verschillen in overall overleving en minder kansen op recidief. Het volledige studieverslag: Effectiveness of a novel herbal agent MB-6 as a potential adjunct to 5-fluoracil-based chemotherapy in colorectal cancer. is tegen betaling in te zien. MB-6 is a promising botanical supplement that may increase the effectiveness of chemotherapy in patients with metastatic colorectal cancer. Chen WT1, Yang TS2, Chen HC3, Chen HH4, Chiang HC5, Lin TC3, Yeh CH6, Ke TW5, Chen JS2, Hsiao KH7, Kuo ML8. Natural products, such as fermented soybeans, have been used to treat various physical conditions, including cancer. MB-6 is a botanical preparation composed of fermented soybean extract, green tea extract, Antrodia camphorata mycelia, spirulina, grape seed extract, and curcumin extract. Based on this, we hypothesized that MB-6 would increase the effectiveness of chemotherapy in patients with colon cancer. In a rodent study, MB-6, in combination with leucovorin/5-fluorouracil chemotherapy, increased the survival rate and life span of colon cancer tumor-bearing BALB/c mice as compared with treatment with chemotherapy alone. In a proof-of-concept clinical study, 72 patients with metastatic colorectal cancer were randomized to receive leucovorin, 5-fluorouracil, and oxaliplatin in combination with either MB-6 or placebo for 16 weeks. The primary outcome was the best overall response, and secondary outcomes included progression-free survival, overall survival, and adverse effects. Up to 77 weeks after treatment, there was follow-up with the patients. No significant difference in the best overall response rate and overall survival was observed between the 2 groups. Patients in the MB-6 group had a significantly lower disease progression rate than patients in the placebo group, during the study period (0.0% vs 15.8%, P = .026). The placebo group had a significantly higher incidence of adverse events at least grade 4 compared with the MB-6 group (28.9% vs 2.9%, respectively, P = .004) and a significantly higher occurrence of increased serum creatinine compared with the MB-6 group (29% vs 5.9%, P = .014). MB-6 is a promising botanical supplement that may increase the effectiveness of chemotherapy in patients with metastatic colorectal cancer. Jemal, A., Siegel, R., Xu, J., Ward, E. Cancer statistics, 2010. CA Cancer J Clin. 2010;60:277–300. McRee, A.J., Goldberg, R.M. Optimal management of metastatic colorectal cancer: current status. Drugs. 2011;71:869–884. Markle, B., May, E.J., Majumdar, A.P. Do nutraceutics play a role in the prevention and treatment of colorectal cancer?. Cancer Metastasis Rev. 2010;29:395–404. de Gramont, A., Figer, A., Seymour, M., Homerin, M., Hmissi, A., Cassidy, J. et al, Leucovorin and fluorouracil with or without oxaliplatin as first-line treatment in advanced colorectal cancer. J Clin Oncol. 2000;18:2938–2947. Goldberg, R.M., Sargent, D.J., Morton, R.F., Fuchs, C.S., Ramanathan, R.K., Williamson, S.K. et al, A randomized controlled trial of fluorouracil plus leucovorin, irinotecan, and oxaliplatin combinations in patients with previously untreated metastatic colorectal cancer. J Clin Oncol. 2004;22:23–30. Cassidy, J., Clarke, S., Diaz-Rubio, E., Scheithauer, W., Figer, A., Wong, R. et al, Randomized phase III study of capecitabine plus oxaliplatin compared with fluorouracil/folinic acid plus oxaliplatin as first-line therapy for metastatic colorectal cancer. J Clin Oncol. 2008;26:2006–2012. Tsang, Y.W., Chi, K.H., Hu, C.J., Tseng, C.L., Tseng, F.W., Wang, Y.S. Chemotherapy-induced immunosuppression is restored by a fermented soybean extract: a proof of concept clinical trial. Nutr Res. 2007;27:679–684. Saini, M.K., Sanyal, S.N., Vaiphei, K. Piroxicam and C-phycocyanin mediated apoptosis in 1,2-dimethylhydrazine dihydrochloride induced colon carcinogenesis: exploring the mitochondrial pathway. Nutr Cancer. 2012;64:409–418. Farrell, M.P., Kummar, S. Phase I/IIA randomized study of PHY906, a novel herbal agent, as a modulator of chemotherapy in patients with advanced colorectal cancer. Clin Colorectal Cancer. 2003;2:253–256. Kim, K.C., Lee, C. Curcumin induces downregulation of E2F4 expression and apoptotic cell death in HCT116 human colon cancer cells; involvement of reactive oxygen species. Korean J Physiol Pharmacol. 2010;14:391–397. Rao, Y.K., Fang, S.H., Tzeng, Y.M. 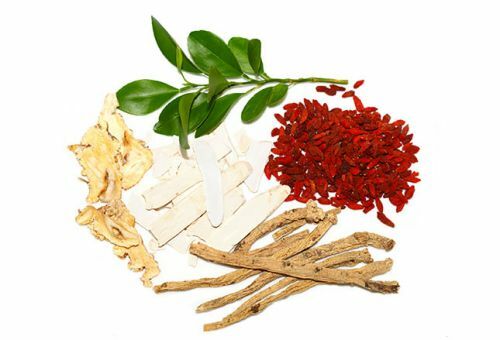 Evaluation of the anti-inflammatory and anti-proliferation tumoral cells activities of Antrodia camphorata, Cordyceps sinensis, and Cinnamomum osmophloeum bark extracts. J Ethnopharmacol. 2007;114:78–85. Ibe, S., Kumada, K., Yoshida, K., Otobe, K. Natto (fermented soybean) extract extends the adult lifespan of Caenorhabditis elegans. Biosci Biotechnol Biochem. 2013;77:392–394. Zarse, K., Jabin, S., Ristow, M. L-Theanine extends lifespan of adult Caenorhabditis elegans. Eur J Nutr. 2012;51:765–768. Chen, Y.J., Cheng, P.C., Lin, C.N., Liao, H.F., Chen, Y.Y., Chen, C.C. et al, Polysaccharides from Antrodia camphorata mycelia extracts possess immunomodulatory activity and inhibits infection of Schistosoma mansoni. Int Immunopharmacol. 2008;8:458–467. Koníčková, R., Vaňková, K., Vaníková, J., Váňová, K., Muchová, L., Subhanová, I. et al, Anti-cancer effects of blue-green alga Spirulina platensis, a natural source of bilirubin-like tetrapyrrolic compounds. Ann Hepatol. 2014;13:273–283. Velmurugan, B., Singh, R.P., Agarwal, R., Agarwal, C. Dietary-feeding of grape seed extract prevents azoxymethane-induced colonic aberrant crypt foci formation in fischer 344 rats. Mol Carcinog. 2010;49:641–652. Suckow, B.K., Suckow, M.A. Lifespan extension by the antioxidant curcumin in Drosophila melanogaster. Int J Biomed Sci. 2006;2:402–405. Hu, C.C., Hsiao, C.H., Huang, S.Y., Fu, S.H., Lai, C.C., Hong, T.M. et al, Antioxidant activity of fermented soybean extract. J Agric Food Chem. 2004;52:5735–5739. Jaiswal, A.S., Marlow, B.P., Gupta, N., Narayan, S. Beta-catenin-mediated transactivation and cell-cell adhesion pathways are important in curcumin (diferuylmethane)-induced growth arrest and apoptosis in colon cancer cells. Oncogene. 2002;21:8414–8427. Kanwar, S.S., Poolla, A., Majumdar, A.P. Regulation of colon cancer recurrence and development of therapeutic strategies. World J Gastrointest Pathophysiol. 2012;3:1–9. Jurenka, J.S. Anti-inflammatory properties of curcumin, a major constituent of Curcuma longa: a review of preclinical and clinical research. Altern Med Rev. 2009;14:141–153. Harlan AIN-76A Purified Diet Data Sheet. Harlan Laboratories. http://www.harlan.com/download.axd/1131a6e1617348b9a99c8d2af933f796.pdf?d=170481..
Witek, M., Blomain, E.S., Magee, M.S., Xiang, B., Waldman, S.A., Snook, A.E. Tumor radiation therapy creates therapeutic vaccine responses to the colorectal cancer antigen GUCY2C. Int J Radiat Oncol Biol Phys. 2014;88:1188–1195. Eisenhauer, E.A., Therasse, P., Bogaerts, J., Schwartz, L.H., Sargent, D., Ford, R. et al, New response evaluation criteria in solid tumours: revised RECIST guideline (version 1.1). Eur J Cancer. 2009;45:228–247. Program CTE. Common terminology criteria for adverse events (CTCAE). Version 3.0. Natl Cancer Inst. 2006;:1–72 (CTCAE Version 3.0). Liu, S.H., Cheng, Y.C. Old formula, new Rx: the journey of PHY906 as cancer adjuvant therapy. J Ethnopharmacol. 2012;140:614–623. Zhou, F., Zhou, H., Wang, T., Mu, Y., Wu, B., Guo, D.L. et al, Epigallocatechin-3-gallate inhibits proliferation and migration of human colon cancer SW620 cells in vitro. Acta Pharmacol Sin. 2012;33:120–126. Dinicola, S., Cucina, A., Pasqualato, A., D’Anselmi, F., Proietti, S., Lisi, E. et al, Antiproliferative and apoptotic effects triggered by grape seed extract (GSE) versus epigallocatechin and procyanidins on colon cancer cell lines. Int J Mol Sci. 2012;13:651–664. Tournigand, C., Cervantes, A., Figer, A., Lledo, G., Flesch, M., Buyse, M. et al, OPTIMOX1: a randomized study of FOLFOX4 or FOLFOX7 with oxaliplatin in a stop-and-go fashion in advanced colorectal cancer—a GERCOR study. J Clin Oncol. 2006;24:394–400. 1 Reactie op "Voedingssupplement met 6 voedingstoffen - MP 6 aanvullend op FOLFOX geeft langere progressievrije ziekte en minder ernstige bijwerkingen bij uitgezaaide gevorderde darmkanker." Ik zou graag MP-6 willen gebruiken, maar hoe kom ik eraan? Is het ergens te koop?